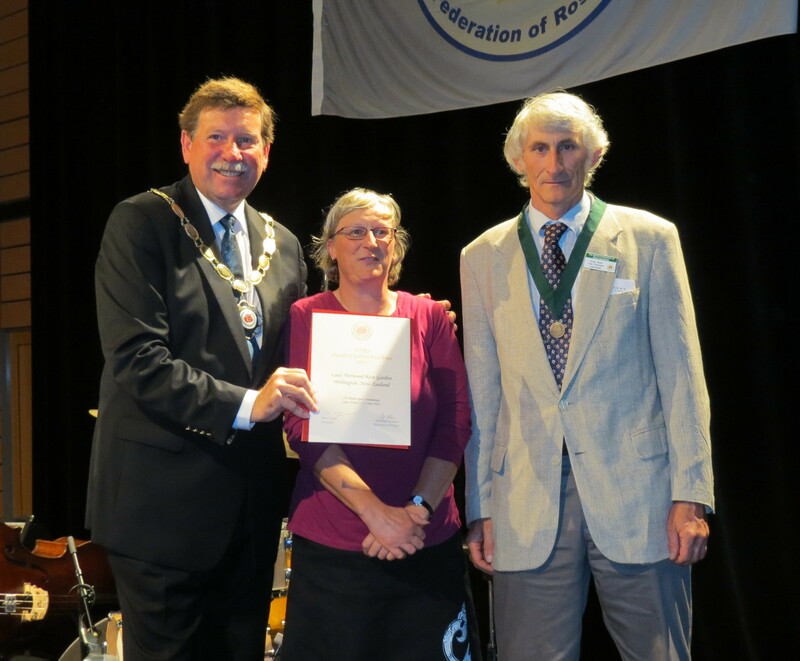 Mr Steve Jones, President of the World Federation of Rose Societies presents the Garden of Excellence Award to Rachel Solomon, Curator of the Lady Norwood Rose Garden and Doug Grant, New Zealand Rose Society. 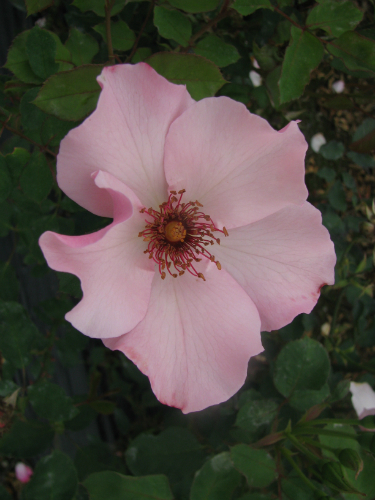 New Zealand has maintained its position as a leader in the rose world with several awards and appointments at the World Rose Convention held in Lyon, France. 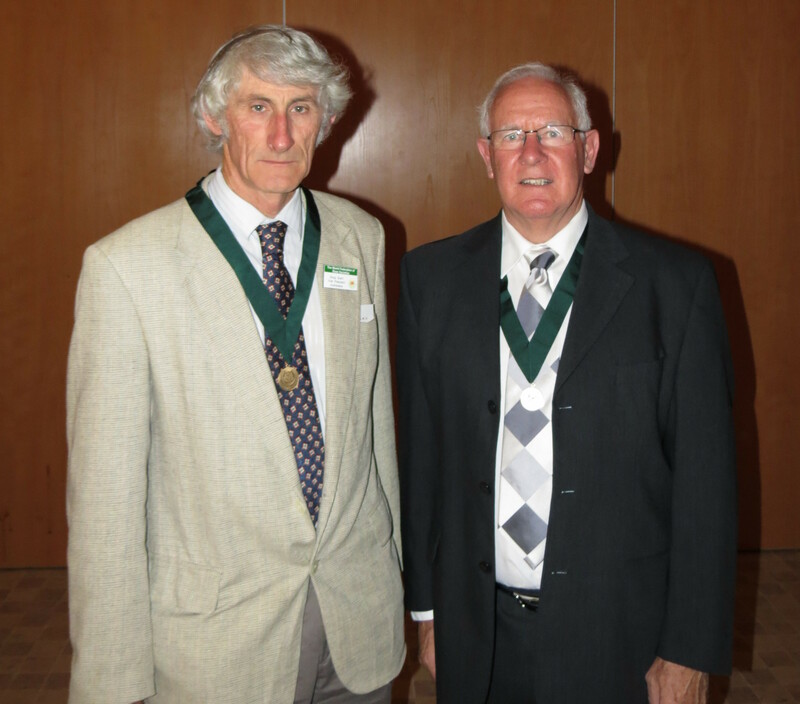 Three New Zealanders were recognised with awards for their service to the rose. 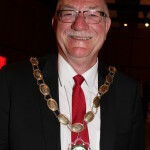 Mr Peter Elliott of Palmerston North was presented with the World Federation of Rose Societies Silver Medal for service to the World Federation of Rose Societies (WFRS). 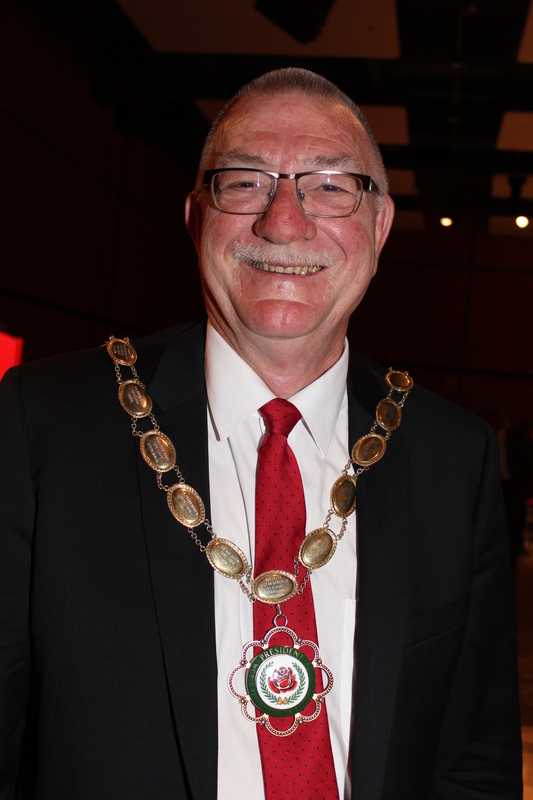 Mr Elliott has served as one of the WFRS Vice Presidents for Australasia for the past nine years and completed his term at the Lyon convention. A long time member of the Manawatu Rose Society, Mr Elliott convened the very successful WFRS Regional Convention held in Palmerston North in 2013. 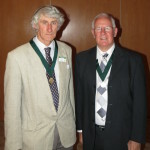 Mr Doug Grant of Pukekohe was presented with the World Rose Award for services to the rose. 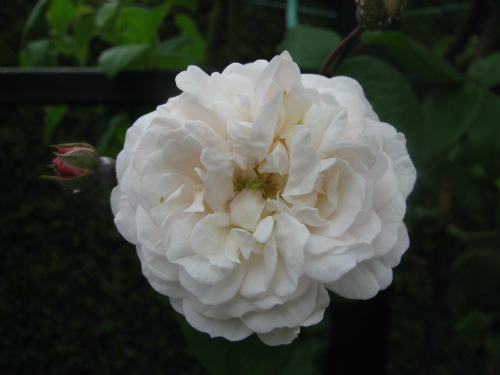 Mr Grant is currently the President of the New Zealand Rose Society and begins his term as one of the Vice Presidents for Australasia for the WFRS. A successful rose breeder, Mr Grant has been a long time member of the Franklin Rose Society and has served in many roles at a national level in New Zealand. 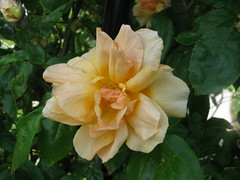 The World Rose Award was also presented to Mrs Sally Allison of Rangiora. She was unable to attend the convention, but will be presented with the award at a later date. 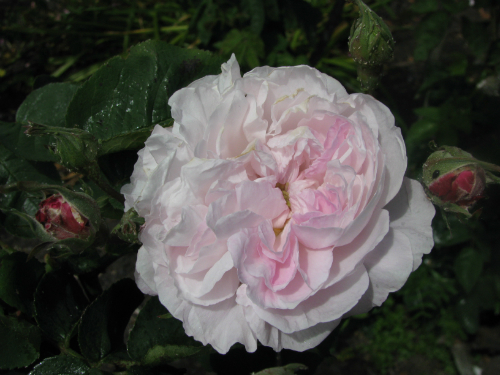 Mrs Allison, the current President of Heritage Roses New Zealand, has been a tireless promoter of heritage roses around New Zealand and the world for many years and is known as a leading authority on heritage roses. The Lady Norwood Rose Garden, located in the Wellington Botanic Gardens was also presented with one of the Garden of Excellence Awards at the closing ceremony. 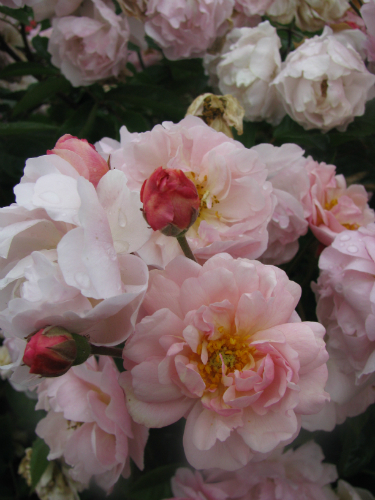 The award recognises outstanding rose gardens from either a historical, educational and/or visual viewpoint. 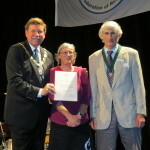 Rachel Solomon, the Curator of the Rose Garden and Mr Grant accepted the award on behalf of the Wellington City Council and the New Zealand Rose Society respectively with the formal presentation of the plaque to the gardens to be made in November 2015.
as the new President of the World Federation of Rose Societies for 2015 to 2018 and for Adelaide to host the 19th World Rose Convention in October 2021. As part of the proposed program, New Zealand will host a ‘post’ post tour in early November 2021. 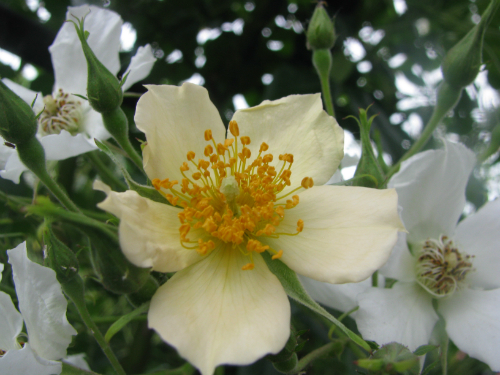 Mr Hayden Foulds from Palmerston North has been appointed as Deputy Chairman of the WFRS Rose Trials Committee, a member of the WFRS Editorial Board and a member of a new subcommittee to look into promoting roses through social media and other new technology. Mr Foulds currently serves as webmaster and editor of the New Zealand Rose Review for the New Zealand Rose Society and has had a long involvement with the New Zealand Rose Society trials held in Palmerston North.